Conventional ammunition causes metal-on-metal contact between the bullet and bore, which can shorten barrel life and rob accuracy. 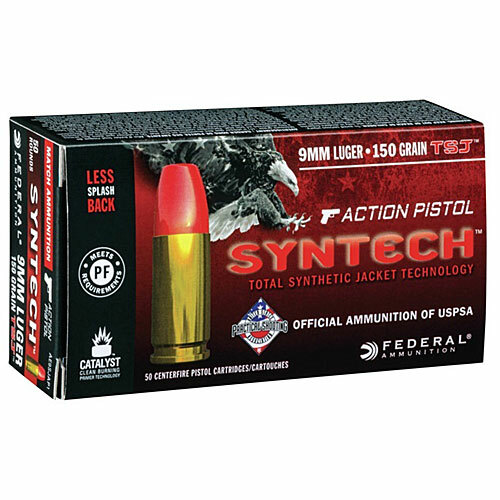 But the all-new polymer-encapsulated Syntech bullet prevents this, while eliminating copper and lead fouling. Combined with specialized clean-burning powders, your gun will stay cleaner, longer, so you can shoot more and shoot better. The exclusive lead free Catalyst primer provides the most reliable, consistent ignition possible.